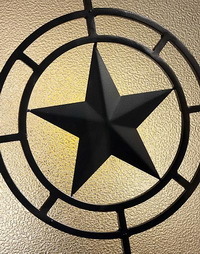 No two stars are like, so we offer you two different takes on an Old World decorative element: the star. 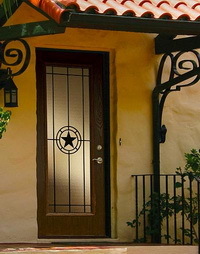 Elegant Star Wrought Iron, with translucent textured glass, is a rustic, Southwestern treatment. It provides a high level of privacy.